You do not have to attend yoga classes to stay in the Yoga House. 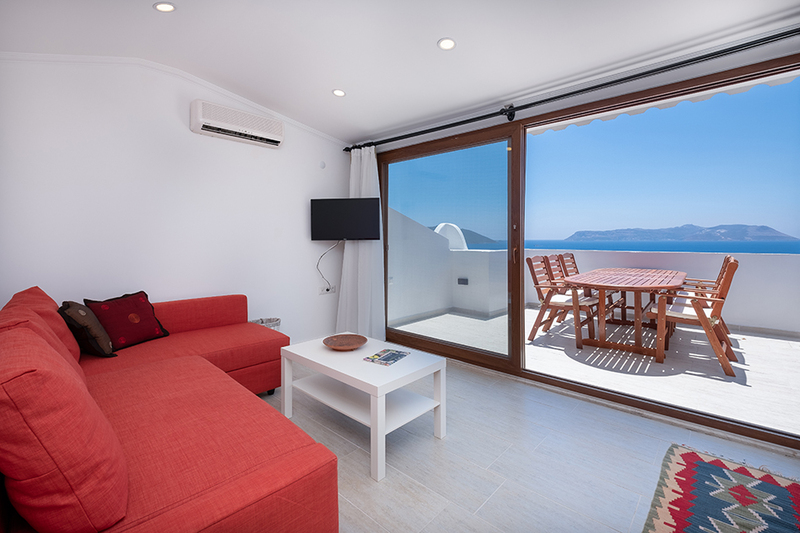 Our yoga studio and apartments can be booked independently. 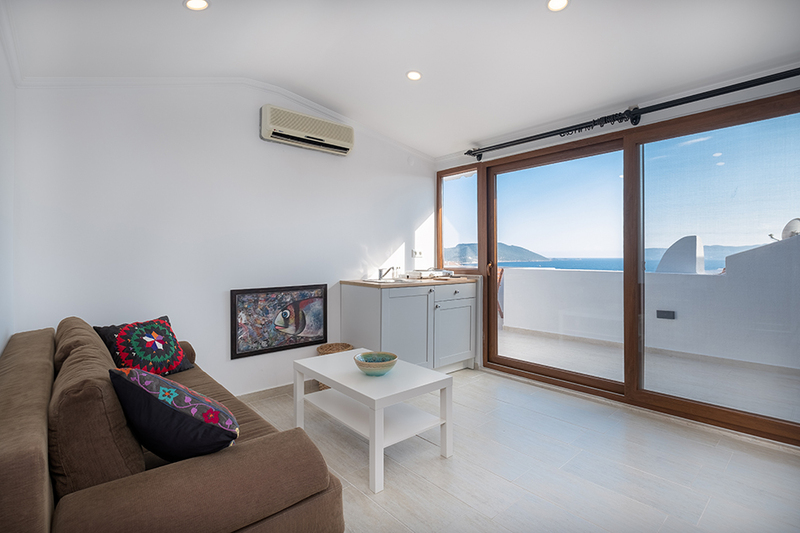 The Yoga House is the perfect place if you want to stay close to the town center while enjoying a quiet and peaceful location in Kaş. It is also ideal for those who want a larger living space instead of a hotel room. 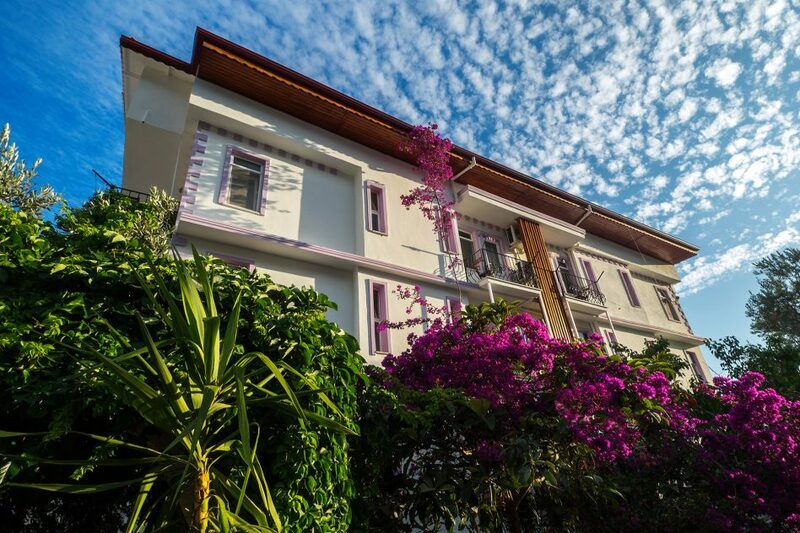 The apartment on the ground floor has a garden while the others overlook the sea. There is even a terrace for common use where you can enjoy the beautiful sunset over Kas harbour and Meis Island. 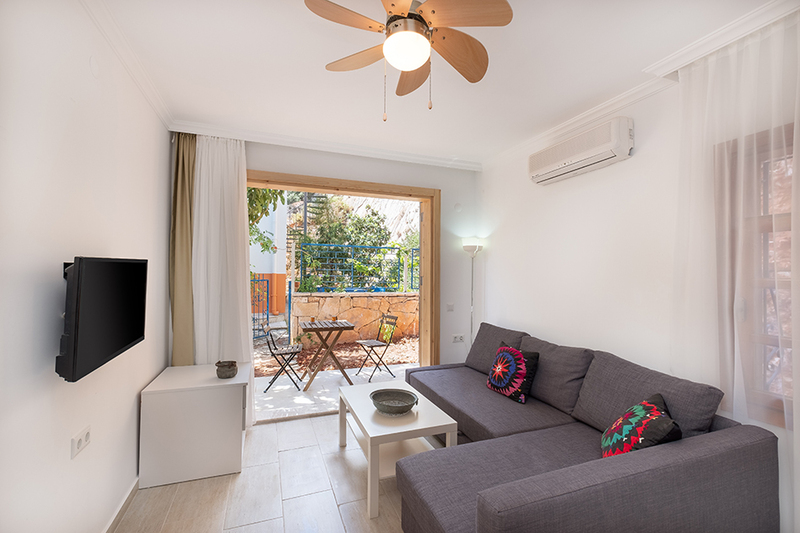 All apartments have a kitchenette, air conditioning, television, hot water, rain shower, towels/pillows, a hairdryer and internet connection.